PASSPORTS REQUIRED IF TRAVELING FROM U.S.! Early-bird rate will again be $495 for members. The POD Network hotel is NOW FULL. Our overflow hotel is the Hotel Omni Mont-Royal, Montreal, Quebec, about a 10 minute walk away from LE CENTRE SHERATON MONTREAL HOTEL. We were able to get same rate, $209/night (Canadian dollars) or roughly $170 (US)/night. 2017 session materials available here. We cordially invite you to participate in the POD Network’s 42nd Annual Conference to be held in Montreal, Quebec on October 25–29, 2017. How do we determine what matters to our clients and colleagues, our students, our institutions, and our communities? What does “mattering” mean? How do we make our work matter at deeper levels—transforming, inspiring, and creating personal and professional meaning for both ourselves and our clients and collaborators? How do we gather evidence of our impact on the work of our faculty clients? On the learning and success of their students? On teaching culture at the department, school, and institutional levels? On relationships with our various communities—local, state, national, and global? And how do we use that information to improve our efforts? How can the POD Network advance and highlight our collective efforts to impact the work and culture of higher education? We invite you to join our conversation of what matters in our work, how we understand the range of our impacts on higher education, and how we can collectively grow those impacts in meaningful and enriching ways. The POD Network supports a network of over 1,300 members who have an interest in educational and organizational development. While POD members come primarily from the USA and Canada, the membership also represents 20 other countries. Through its members, the POD Network leads and supports change for the improvement of higher education through faculty, instructional, and organizational development. The POD Network seeks to promote the scholarship of teaching, learning, and organizational development that reflects a spirit of inclusion, where all members are invited to collaborate and interact with colleagues across disciplines and borders. The mission of the Professional and Organizational Development Network in Higher Education (POD Network) is to provide a community for scholars and practitioners who advance teaching and learning through faculty and organizational development. The annual POD Network conference typically attracts between 700 and 1,000 people, and primarily targets practitioners in the fields of educational and organizational development, both novice and experienced. The conference appeals to administrators, faculty, educational developers, graduate and professional student developers, graduate students, independent consultants, members of higher education organizations, and publishers for these communities. Proposal submission is now closed. Proposals featuring best practices, new resources, innovative approaches, discussion of critical issues, presentation of research and work-in-progress were submitted online and were due on Sunday, March 12, 2017. All proposals were evaluated using a blind peer-review process. Detailed information about the session types, topic areas, guidelines for submission, submission process, and the Robert J. Menges Honored Presentation Award are included in the Call for Proposals. Randy Bass is Associate Provost for Education and Professor of English at Georgetown University. For 13 years, he was the Founding Executive Director of Georgetown’s Center for New Designs in Learning and Scholarship (CNDLS), where he continues as a Senior Scholar for Pedagogical Research. He has been working at the intersections of new media technologies and the scholarship of teaching and learning for twenty years, including serving as Director and Principal Investigator of the Visible Knowledge Project, a five-year scholarship of teaching and learning project involving 70 faculty on 21 university and college campuses. 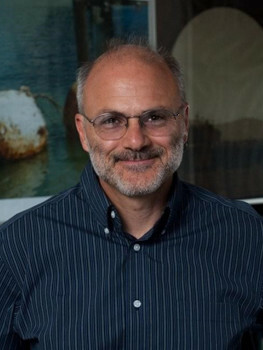 In January 2009, he published a collection of essays and synthesis of findings from the Visible Knowledge Project under the title, “The Difference that Inquiry Makes: A Collaborative Case Study on Technology and Learning, from the Visible Knowledge Project,” (co-edited with Bret Eynon) in the digital journal Academic Commons (January 2009: http://academiccommons.org). From 2003-2009, he was a Consulting Scholar for the Carnegie Foundation for the Advancement of Teaching, where he served, in 1998-99, as a Pew Scholar and Carnegie Fellow. In 1999, he was awarded the EDUCAUSE Medal for Outstanding Achievement in Technology and Undergraduate Education. Bass is the author and editor of numerous books, articles, and electronic projects, including recently, “Disrupting Ourselves: The Problem of Learning in Higher Education” (Educause Review, March/April 2012). He is currently a Senior Scholar with the American Association for Colleges and Universities. Learn more about Randy and his body of work. Pre-conference Workshop co-chairs: Molly Sutphen, University of North Carolina at Chapel Hill (msutphen@email.unc.edu) and Laura Cruz, Tennessee Technological University (lcruz@tntech.edu). This year’s full-day Pre-Conference Workshop (W1) begins Wednesday, October 25, 1:30–4:30 pm, and continues on Thursday, October 26, 8:30 am–12:00 noon. Breakfast on Thursday is included for participants of W1. In addition, participants of W1 receive a copy of A Guide to Faculty Development, 2nd Ed. In this interactive workshop, we will explore both the range of educational development work and common teaching/learning center practices. We will focus on: identifying and acting on educational development priorities in your own context; building skills for consulting, collaborating, and mentoring; assessing your work at an individual and a program/center level; and evaluating the strategic position of your efforts to maximize opportunities to influence institutional change. Each participant will leave the session with an individual action plan, a big-picture view of educational development, and a support network to help you achieve your goals. This session supports early- and mid-career educational developers by creating a safe space for consultation, reflection, and relationship building. Prior to the session, participants will identify a specific topic on which to focus, such as: professional identity, determining what “matters” in client interactions and services, or operational concerns. This session offers the opportunity to engage in deep reflection and conversation on these issues with diverse colleagues and experienced facilitators. Participants will leave with an action plan to use on their home campuses. The process helps professionals build a sense of efficacy and establish relationships with colleagues across the career spectrum. W3 through W13 are held on Thursday, October 26, 8:30 am–12:00 noon. To address the educational inequity that persists across racial and ethnic lines in higher education globally, institutions need faculty who understand how racism contributes not only to the Black/White binary, but also to colorism, xenophobia, citizenship privilege, language bias, religious oppression, and their intersections. This interactive session is designed to help participants: 1) understand how the classroom can be an oppressive space for racially and ethnically diverse students; 2) evaluate the influence that racial consciousness has on their ability to construct identity-affirming learning environments for every student; and 3) learn teaching strategies that disrupt racialized structures in the classroom. Annually, some faculty are unable to attend our summer course design institute (CDI). Therefore, we offered the CDI during the fall semester, with shorter face-to-face sessions spread over two months rather than over one week. To maintain engagement between sessions, we “flipped” the CDI, moving some instruction from the group space to individual learning spaces. In this workshop, participants will apply best practices in both face-to-face and online spaces to revise the agenda of an institute or other event that they would like to offer in a flipped format. Participants will continue collaboration after the workshop via an online community. Although active learning classrooms (ALCs) have been a part of the higher education landscape for almost two decades, they are only now emerging as the most strategic advancements in which higher education can invest (Grajek, 2017). As institutions focus more deeply on what matters for student success, ALCs have proven themselves to be one of the best investments institutions can make to enhance student learning experiences and increase student learning gains. This session will engage participants in designing sustainable educational development programs grounded in empirical results and prepare faculty to investigate the effects of space on multiple dimensions of student success. Often when faculty meet colleagues in the hall or at the copier, they get the chance to have a quick conversation about something that happened in the classroom. But they are starved for in-depth productive conversations with colleagues in a supportive environment. In this session, experience what it feels like to be a member of a reflective practice group. Using the Critical Friends model, participants will experience several “protocols” to raise diversity and equity issues, and discuss what work faculty might bring to a group. Participants will have a chance to reflect on a current professional dilemma and receive feedback. Today’s U.S. small colleges and universities increasingly seek curricular innovation culminating in a redesign and rebranding of the institution through incorporating research and best practices for student success. This process ideally involves the entire campus where the role of the faculty developer evolves from facilitator for individualistic faculty change to agent for campus culture change. The astute faculty developer will treat the campus as an expanded classroom and design backward from broad outcomes. Presenters will share strategies for successful and swift curricular redesign, leading participants through a Campus Culture Change Syllabus with case studies, activities, and assignments. Integrative learning—connecting ideas and transferring learning to new and complex situations—is an essential learning outcome for undergraduates (AAC&U, 2007). It is also central to the high-impact practice of student learning communities, where faculty are challenged to move beyond their disciplinary perspectives to collaborate in creating interdisciplinary learning experiences. Institutions can help faculty design these experiences by providing practical, targeted professional development opportunities. Participants in this interactive workshop will engage in hands-on activities designed to give them the experience of integrative learning collaboration. The workshop facilitators are nationally recognized experts in this area, affiliated with two- and four-year institutions. This highly interactive workshop will provide participants with an opportunity to create faculty development programs that address access, inclusion, and diversity in teaching. It is based on the understanding that inclusive teaching is not an add-on to “regular” teaching but an important element of good teaching that permeates all aspects of course and learning design. Using a rubric on inclusive course design, participants will critically analyze various elements of college-level courses and then use their insights to draft and receive feedback on faculty development programs that share these insights. Whether you are opening a new center or revitalizing your current center, this highly interactive, hands-on workshop will provide an opportunity to work with experienced coaches to develop short- and long-term plans to help your CTL be successful. The workshop begins with activities to help participants identify resources, institutional priorities, challenges, and opportunities. Coaches will then share strategies for conducting a needs assessment, building networks, setting the Center’s goals and priorities, and cultivating a campus culture that supports excellence in teaching and learning. Working with colleagues and coaches from similar institution types, participants will create action plans to achieve their goals. In this experiential workshop about leadership development, we will review different leadership styles and have participants identify and understand their style. We will then present various leadership models with an emphasis on that of Kouzes and Posner. Using the jigsaw group technique, participants will engage in discussions about how to most effectively lead the way, motivate and challenge their peers and followers, inspire them in a shared vision, and ultimately enable them to act and induce change. The workshop will finish with discussions on how to flourish as faculty developers and how to inspire faculty to manage their leadership challenges. One of the core commitments of the POD Network (2013) is evidenced-based practice, and empirical education research is one source of evidence that deeply impacts our work. In this workshop, participants will identify and practice the skills required to critically consume research, share ideas about how to use research findings in practice, and develop a plan for further incorporating the use of research into their center’s services and workflow. Our workshop responds to the conference theme by empowering our colleagues, regardless of disciplinary background, to enhance the impact of their educational development work by leveraging empirical education research. Adjunct faculty make up more than 50% of the teaching force in American higher education. Therefore, it is essential that faculty developers think about and create programming for this population. Using the Delphi Project model, facilitators from the Adjunct/Part-Time Faculty SIG will walk participants through their understanding of adjunct faculty needs, sharing that understanding with stakeholders, and offering strategies in response. The workshop will provide collaborative opportunities for participants to develop action plans for their institutions. Participants will explore programming options to help integrate their adjunct faculty into a culture of teaching using workshops, learning communities, etc. A full schedule of concurrent sessions will be available here in late summer 2017. Concurrent sessions begin on Thursday at 1:30PM. 75-minute interactive sessions: Co-chairs Kathy Jackson, Pennsylvania State University (klj11@psu.edu) and Claudia Cornejo Happel, Georgia Southern University (ccornejohappel@georgiasouthern.edu). Interactive sessions combine brief presentations or panel discussions with methods that engage all participants, reflecting the POD Network’s long-standing tradition of interactive, collegial sessions. 75-minute roundtable discussions: Co-chairs Steven Jones, Georgia College & State University (steven.jones@gcsu.edu) and Emily Gravett, James Madison University (graveteo@jmu.edu). Roundtable discussions provide an opportunity for various kinds of interactions in a smaller group setting (10–15 people), such as discussion of a concept, approach, program, issue, case study, or reading. 35-minute research presentations: Co-chairs Michael Sweet, Northeastern University (m.sweet@neu.edu) and Sue Hines, St. Mary’s University of Minnesota (shines@smumn.edu). Research sessions include a presentation and discussion of new or ongoing educational, professional, or organizational development research. Session leaders present their original research for the first 20–25 minutes, reserving 10–15 minutes for Q&A. Poster Sessions: Co-chairs Bill Rando (williamrando@uchicago.edu) and Julie Sievers, Southwestern University (sieversj@southwestern.edu). The poster session provides an ideal format for presenting in a context where colleagues can engage in many one-on-one discussions, facilitated by well-designed posters, as well as supplemental materials. Concurrent sessions may address one or more of the topics and audiences below. Topic and audience designations will be listed in the program. Adjunct Professional Development: Practices, processes, theories, techniques, programs pertaining specifically to adjunct or part-time faculty development. Administration: Budgeting, funding, management, planning, performance appraisal, staff/faculty recruitment and retention, and other issues concerning the administration of a center or other unit. Assessment: Measuring the effectiveness of an aspect of practice and/or outcomes in order to improve (secondary topics indicate the subject of assessment—e.g., teaching & learning, programs, Faculty PD). Diversity: Addressing underrepresented or minority populations on campus, in the classroom, in administration. Faculty Professional Development: Practices, processes, theories, techniques, and programs pertaining to faculty professional development. Graduate Student Professional Development: Practices, processes, theories, techniques, and programs pertaining specifically to graduate and professional student development. Organizational Development: Practices, processes, theories, and techniques related to the systemic development of institutions and organizations. POD Professional Development: Practices, processes, theories, techniques, and programs pertaining to development of those in the professions represented by POD (e.g., center staff, technologists, etc.). Programs: Organization, implementation, practices, theories, and techniques related to programs and services (in centers and other units). Research: Systematic, generalizable investigations into clearly defined questions, employing accepted methods for data collection and analysis (secondary topics indicate the subject of research—e.g., teaching & learning, programs, Faculty PD). SoTL: Practice of, results of, and programs supporting the Scholarship of Teaching and Learning. Start-up: Practices, processes, and organizational ideas related to establishment and growth of centers, programs, or other projects. STEM: Practices, processes, theories, and techniques related to the support of teaching and learning in Science, Technology, Engineering, and Mathematics disciplines. Teaching & Learning: Practices, processes, theories, and techniques related to classroom and other teaching and learning. Technology: Explorations of current and new technologies that can support teaching, program, or organizational development. 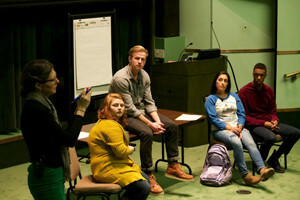 The CRLT Players are nationally recognized for their work using theatre to spark dialogue among university faculty, graduate student instructors, and administrators on issues of teaching and learning and faculty climate. The CRLT Players will perform one of their sketches, “Cuts: Responding to Student Climate Concerns” on Saturday afternoon, 1:00-2:45 pm. Though many universities aspire to cultivate a climate that is welcoming to the members of their diverse student, faculty, and staff bodies, we know that the lived experiences of many in our communities don’t always align with these aspirations. In this CRLT Players session, participants will think together about the many forces that shape campus climate and work toward developing or refining a skill set that will allow them to respond productively and compassionately to individuals who have negative experiences of climate at their universities. The Anchor Session, a blind-reviewed accepted session that has particular importance and/or broad interest to POD Network membership, is chosen by the Conference Committee. 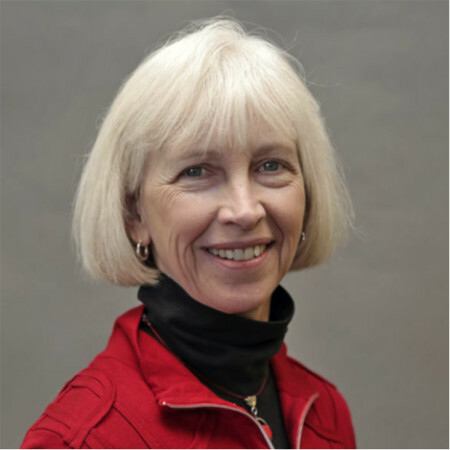 This year’s Anchor Session, “Program Evaluation, Program Assessment, Program Review: What’s the Difference?” will be led by Sue Hines and held on Sunday morning, 8:45–10:15 am. Program evaluation, program assessment, and program review are three common approaches for determining the effectiveness of a teaching and learning center. While all can be useful for judging effectiveness and informing strategic planning; the purpose, scope, and process of each approach are distinctly different. This interactive session will help participants discern the difference among these three approaches and determine how to best use them within their own center. Sue Hines is Associate Professor in Educational Leadership and Director of the Center for Excellence in Learning and Teaching at Saint Mary’s University of Minnesota. She has served as a professional in program development, educational development, program accreditation, educational consultation, and clinical training. She has over 30 years of combined teaching experience at the undergraduate, graduate, and doctoral level, as well as teaching in a variety of delivery formats. Her teaching career has included various disciplines, including organizational and educational leadership, educational assessment, instructional design, adult education, interdisciplinary studies, and veterinary technology. Dr. Hines started out her academic career in veterinary technology education and went on to complete her B.A. in Educational Psychology at Metro State University and received her M.A. in Education and Ed.D. in Leadership with a focus on higher education from Saint Mary’s University of Minnesota. Dr. Hines has over 10 years of research experience and scholarship focused on the evaluation of teaching and learning center programs, resulting in several publications, EDUCAUSE and Magna Publication webinars, and conference presentations. Co-chairs Patty Payette (patty.payette@louisville.edu), Diane Boyd (deb0020@auburn.edu), and Nick Yates (nicholas.yates@zu.ac.ae). POD Unconference (POD-U) provides conference participants with opportunities to engage in peer-to-peer learning, collaborative activities, and creative experiences. Similar to unconferences held at other events, POD-U is a largely participant-driven track, allowing participants to decide what topics and discussions take place. These just-in-time learning experiences are an excellent opportunity for individuals to share what they know or to learn about something new. In addition to sessions planned and facilitated by conference participants, the Unconference team has organized two sessions for participants to practice designing their own unconference-style sessions. POD-U sessions, offered throughout the conference, are participant-driven events. These sessions are ideal for discussing challenges members are facing at their institutions, sharing resources, discussing ideas or issues that emerge during the conference, solving a problem, developing new resources, sharing a personal talent, or simply meeting others with similar (and diverse) interests. Look for POD-U interactive sessions identified throughout the program. Birds of a Feather (BoFs) sessions are informal conversations designed to foster relationships between experienced educational developers and colleagues new to the field, and are intended to promote more meaningful interaction and deeper relationships than can sometimes occur during regular conference sessions. Each BoFs session is facilitated by an experienced educational developer with expertise in a particular topic. All sessions take place on Friday from 7:30–8:45 am. More information on specific BOFs will be available late summer 2017, as well as in the Conference Program. Please contact BOF coordinators for more information: Stephanie Rohdieck, The Ohio State University (rohdieck.1@osu.edu) and Anne Braseby, University of Texas at Austin (anne.braseby@austin.utexas.edu). We are glad to have you as part of the POD Network 2017 conference program. Below are various pieces of information that will help you best prepare for your conference session. If you have questions prior to the conference, contact Conference Co-Chairs Lynn Eaton (LEaton@umhb.edu) and/or Greg Siering (gsiering@indiana.edu). If you have questions or needs during the conference, please stop by the registration desk. The information on the Inclusivity and Accessibility Guidelines page will help you make your presentation and associated materials more accessible and meaningful to a wider variety of participants. We encourage you to read this page early in the development of your session, since it includes important inclusivity suggestions as well as technical/formatting tips. This year we will have microphones in every room (except for Roundtable rooms), and we strongly encourage you to use them. Many of us claim we have a “teacher voice” that can carry, but some participants may still need the amplification to hear well. So please use the microphone, and pass it around during Q&A or discussion. Projectors will be supplied for all Pre-Conference Workshops, Interactive Sessions, and Research Sessions (Roundtable Sessions will not have projectors). Both VGA and HDMI cables will be with each projector; you are responsible for providing your own laptop, as well as any adapter needed to connect to either the VGA or HDMI cable. You will also be able to connect your laptop’s audio to the sound system in each room; a standard audio cable will be provided. Wi-Fi will be available in each room, but since this network will be used by all conference participants, we encourage you to download any presentation materials—especially videos—in advance, rather than trying to access them online during your session. We will have hotel AV support people available if something doesn’t work, but please try to get set up as soon as you can after the previous session so we have time to get that help to you. Each room will also contain a flipchart on an easel, as well as some markers. If you need an additional flip chart or lots of markers, please let us know in advance. If you need other materials—note cards, Post-it notes, masking tape for mounting paper on walls, etc.—please bring these yourselves, since it is difficult for us to keep up with the unique needs of 15 simultaneous sessions over three days. You are responsible for printing/copying any materials associated with your session. The conference hotel has a business center located on the Lobby Level, providing computer and printing access 24 hours per day. Printing up to five pages is at no charge; printing over five pages is $0.25/page. There are also printing shops and a UPS store within a several block radius of the hotel; ask at the hotel concierge desk for directions. Rooms for Interactive and Research Sessions will be set up with 8-person round tables; room sizes vary, but generally hold 45-60 people. Rooms for Roundtable Sessions will have an “open square” seating arrangement for approximately 24 people. Pre-conference workshops are generally scheduled in the larger rooms and may be reassigned based on registration numbers. All posters should be 3×4 feet in size and will be mounted on a tri-fold board that we will provide. Your poster can be one 3’x4’ poster or smaller components attached to the panels (left and right panels of the tri-fold are 12.75″, and the center panel is 22.5″). The poster session is Friday 3:45-5:00 pm in Ballroom East, and we will have someone there with the tri-folds, mounting materials, and further instructions starting at 3:00 pm. Please also see the Inclusivity/Accessibility Guidelines for some suggestions regarding posters. Note that we cannot provide power for the Poster Session; if you want to display something on a laptop, please make sure you have a fully-charged battery. The Vendor Exhibit and Vendor Workshops are the only times at the conference when items or services may be promoted or offered for sale. Please refrain from promoting your own books or services during presentations. Please follow these steps to submit materials for your session—slides, notes, and other resources. Deadline, October 2, 2017 — No longer able to sign up when registering. Those with interest in the Buddy program, either to serve as a Buddy or to request a Buddy, should send an email to conferencebuddy@podnetwork.org. Are you new to the POD Network and would like help navigating the conference? Are you an experienced POD Network member and willing to share tips on how to get the most out of the annual conference? If so, consider participating in the 2017 POD Conference Buddy Program. To participate, simply sign up when you register for the conference by Monday, October 2nd. The POD Conference Buddy program is designed to connect first-time attendees with other participants who are more familiar with the conference. The success of the Buddy program relies heavily on experienced conference attendees generously giving of their time and advice to new attendees. As with any professional organization, it is the people that make it special, and making new members feel welcome keeps the organization energized. Those members who have been to the POD Network conference in the past, please consider being a Buddy this year—you will not regret it. Offer advice on sessions to attend, conference events, ways to become more involved in POD, etc. Buddies will be matched as best we can based on size of institution, geographic location, and other pertinent factors in hopes that you will not only have a guide at the conference, but perhaps find a colleague and mentor to add to your professional network. Past experience shows that the earlier and more often the Buddies connect, the better the conference is for everyone. Buddies should plan to meet up early at the conference: during coffee breaks, receptions, dinners, and excursions. This year we are adding special reserved Buddy tables at each meal to help facilitate connecting between Buddies. After you register, you will receive an email with more details and a very short survey to help us match newcomers and experienced attendees. After the deadline has passed, you will receive an email with further information, including contact information for your Buddy, so that you can connect prior to the conference. The experience goes most smoothly when Buddies connect prior to the conference, and we encourage Buddies to reach out to one another via email, video, or phone call at least one week prior to the conference. If you have further questions, please contact the POD Buddy program team at: conferencebuddy@podnetwork.org. The Career Fair will be held on Friday morning from 9:00–10:15 am. This session should be considered as networking “meet and greet” opportunity, not a time for formal interviews. Job candidates are likely to have more success if they meet face-to-face with potential employers rather than just dropping off a resume; the time can then be used to learn more about the position and the employing institution. Potential employers can use this time to plan a subsequent interview during the conference. More information will be distributed to POD Network members and conference registrants in the early fall by Job Fair coordinators Kate Williams, Georgia Tech (kate.williams@gatech.edu) and Ian Althouse, Yale University/Columbia University (ian.althouse@yale.edu). A Graduate Student, Professional Student, and Postdoctoral Scholar Development (GPPD), formerly known as the Graduate and Professional Student Development (GPSD), Networking Lunch will be held on Thursday, 12:00–1:00 pm. This event provides an opportunity for graduate students, postdoctoral scholars, and those engaged in graduate and professional student development to connect with each other early in the POD Network Conference. Graduate Student, Professional Student, & Postdoctoral Scholar Developers are also welcome to attend. GPPD subcommittee chairs will be in attendance to provide conference and job market mentorship. The Resource Fair provides a venue for participants to find or exchange information and resources relevant to our work as educational and organizational developers. This is a great opportunity to socialize while acquiring new information or by sharing activities, resources, and services that benefit the POD Network community. The Resource Fair features tables only from college- and university-affiliated programs and from non-profit organizations. The Resource Fair and Reception will be held on Friday evening from 5:15–6:45 pm. Materials and services may NOT be offered for sale or promoted for sale during the Resource Fair. Note: If you wish to have a table at the Resource Fair, you must register for the conference and reserve your table in advance by checking the appropriate box on the conference registration form. You or your representative should plan to be at your table to talk with conference participants during the entire session. There is no fee. More information about the Resource Fair will be distributed in the early fall to those who have reserved a table by Resource Fair coordinators Jody Horn, University of Central Oklahoma (JHorn9@uco.edu) and Tes Zakrzewski, Wentworth Institute of Technology (zakrzewskit@wit.edu). The Vendor Exhibit will be held all day (roughly 8:00 am to 5:00 pm) on Thursday, Friday, and Saturday. The Vendor Exhibit and Vendor Workshops (see below) are the only times at the conference when items or services may be promoted or offered for sale. We welcome publishers, consultants, and others. If you wish to purchase a table at this event, you must reserve your place in advance by checking the appropriate box on the conference registration form. The Vendor Exhibit is currently FULL. Vendors who have sponsored the POD Network conference at the Bronze Level or higher have the opportunity to present a 75-minute interactive workshop. Interactive workshops are not strictly commercials; rather, they are intended to reflect the engaged and research-based approach of the POD Network community. The Vendor Exhibit and Vendor Workshops are the only times at the conference when items or services may be promoted or offered for sale. If you wish to be a sponsor at the Bronze Level or higher, contact the main office at podoffice@podnetwork.org before August 15. Sunday, October 29 See below for “On Your Own” excursion options. *Does not include alcohol, which must be purchased separately by individuals who wish to do so. Cancellation deadline: October 22. After this date, a fee of $95 USD will be assessed. Cancellation date: September 28, after which no refunds will be made. Conference registration fees do not include membership dues. If you would like to register at the lower, POD Network member rate, you must already be a member or you must renew or join before you register for the conference. All fees, outlined below, are in U.S. dollars and payment must be made in U.S. dollars. Please note that the conference registration fee includes the designated conference meals, coffee breaks, and receptions. Registration includes three breakfasts (Friday, Saturday, Sunday), two dinners (Thursday and Friday) and one lunch (Saturday). Pre-conference workshops, educational excursions, and tables at the vendor exhibit have additional fees and must be selected when you register. Refund Policy: A full refund, minus $25 USD processing fee, will be made if cancellation is received by October 1, 2017. A $75 USD cancellation fee will be retained for cancellations received from October 2–15, 2017. Other than in the case of personal emergency, no refunds can be made after October 15, 2017. Substitutions in attendees may be made at any time. Because of transportation scheduling and contracts, refunds for excursions will be honored only if you cancel your entire conference registration before October 1. If you are hoping to find a roommate for this year’s POD Conference in Montreal, please fill out our roommate request form. The conference hotel (Le Centre Sheraton Montreal) confirmed that they can split the bill any way you need: 50/50 or just split for the days that you and your roommate are sharing. After being paired, you can add your roommate’s name to your reservation by calling the hotel, or you can cancel your reservation if your roommate has a reservation also. If you have any questions, please feel free to email Antonia Levy (antonia.levy@cuny.edu) or Maria Orjuela-Laverde (maria.orjuela-laverde@mcgill.ca), the Roommate Assistance Coordinators . 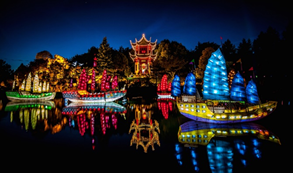 PASSPORTS REQUIRED IF TRAVELING FROM U.S.
Our discounted group hotel rate is $209/night (Canadian dollars) or roughly $158/night (US dollars). Please make reservations before September 22, 2017 to guarantee discounted rate. Please note that a deposit equal to one night’s stay is required to hold each individual’s reservation at the time the reservation is made. Such deposit shall serve to confirm the reservation for the date (s) indicated, and, upon check-in, shall be applied to the first night of the reserved stay. These deposits are refundable if notice is received at least seventy-two (72) hours prior to arrival and a cancellation number is obtained. Take Highway 20 West to Montreal. Follow the directions for Champlain Bridge. Keep right on the bridge. Take exit at Highway 10 West. Proceed to Rene-Levesque Boulevard and turn left. Continue 5 blocks and turn right onto Drummond Street to enter the hotel carport. Take Highway 87 North, which becomes Highway 15 North. Exit at Highway 10 West. Drive 5 blocks and turn right on Drummond Street to enter the hotel carport. Take Highway 20 East and exit at Highway 720 East. From Highway 720 East, exit at Guy Street. At the first traffic light, turn right onto Rene-Levesque Boulevard. Proceed 7 blocks and turn left to Drummond Street. Turn right to enter the hotel carport. Take Highway 15 South and exit at Highway 720 East. Proceed 7 blocks and turn left onto Drummond Street. Then turn right to enter the hotel carport. Please take into consideration international shipping fees, where appropriate, and possible impact on arrival times. Check your local shipping facility. Handling charges may apply. The hotel does not accept any liability for equipment, goods, displays, or other materials, which arrive or fail to arrive at the hotel. The group is responsible for insuring its property for loss or damage. Additionally, any extensive set-up/tear-down of any function space requiring the use of freight elevators will need to be supervised by security agents at the charge of your organization.